The Battle for Azeroth Alpha features a variety of different mounts and today we are taking a look at the bee mount and its color variants. Block seeming to decrease when you gain armor is mostly an artifact of how we're currently presenting it on the character sheet (which might be worth revisiting). I'll keep using Shield of the Righteous as the example since it's a large temporary armor change. Block now uses similar scaling to armor itself, for the reasons mentioned in my other post (briefly--it's more gear-driven and makes upgrades matter, and allows content to be tuned around higher block values as you proceed further into the game). When you gain a massive amount of armor from Shield of the Righteous, you're now at a higher point on the armor DR curve. So adding a fixed amount of armor, which is essentially what block is doing, translates to a lower %. This is no different from how gaining a buff for X armor would appear to add less mitigation (as a %) if you had Shield of the Righteous up--i.e. the way armor as worked for the whole history of WoW. Block just happens to be called out as its own % on the character sheet, so this is more visible. In all cases, gaining more armor will further reduce damage from both blocked and unblocked hits. We of course could make abilities like Shield of the Righteous increase block value as well as armor, so the "block %" stayed similar. But I'm not sure that's what you'd actually want from a gameplay or balance perspective. That's basically saying we'd give block more value during the time when you're already protected by Shield of the Righteous. That's the opposite of the usual desire (it would increase damage variance). Letting armor DR work using its natural mechanics, causing an effect like block to have more % value when you have lower armor, seems better. Summing up, I hope that clarifies a bit more what's going on, and so far I think the biggest outstanding question is whether there's a clearer way to present the block information on the character sheet. The first direction we're likely exploring for Brewmaster is to make Stagger the mechanic that is driven by Agility, and ultimately make sure it has similar scaling to the armor-based mechanics on the other tanks. This would not necessitate any large player-facing changes to how Stagger works or how you use it. Yep Beta is soon™! Please make sure you guys have opted in! You can do that in your account management under Beta Profile settings. Why kill the Web AH? That's too bad - I was really hoping the AH was going to get an upgrade. It is dated and a very poor interface in the game right now and needs some real work. I find it hard to believe that the AH overall is used by only a small percentage of players, so the excuse to ignore it isn't there - yet they have completely ignored upgrading it for basically the entire life of WoW so far. CRAZY PANTS. Mythic Dungeon Invitational - April 13! The Mythic Dungeon Invitationals begin in China this weekend! You can catch all the action in English on the official Warcraft Twitch channel. Hosts Adrian "Healingstat" Archer-Lock, Daniel "AutomaticJak" Anzenberger,Caroline "Naguura" Forer, Richard Campbell, Aaron "Sours" Shaffer, and Ted "Sloot" Bacinschi will be on hand to provide commentary and expertise on all the action. The Mists of Pandaria beta added two new battlegrounds, one of which was featured this week in 2012. The Temple of Kotmogu is a 10-man battleground, the objective of which is collecting 1600 points before the opposing team. This can be done by picking up one of the four orbs around the center of the battleground. These orbs apply an increasing buff to the player holding them, which increases their damage done, and healing received, however it also increases their damage taken, making it easier to kill them the longer they hold onto the orb. 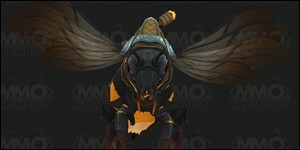 The Soul of the Aspects was added to the Blizzard Store in 2012. 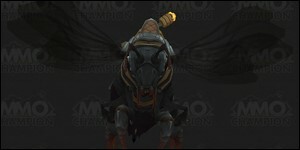 This companion is the pet version of the Heart of the Aspects, which was a mount added during Cataclysm. Both can still be purchased on the Blizzard Store if you’re interested in adding them to your collection. During the 2014 PAX event the first expansion of Hearthstone was officially announced. The Curse of Naxxramas would bring an adventure mode with 30 new cards, unique game board, and class challenges. A total of five wings would be available, one of which would open with the release, and the rest would open weekly. Blizzard Entertainment contacted Paul Jr. Designs with the task of making a chopper for both Aliiance and Horde. The trailer for this series aired in 2014, showing off Team Horde which was lead by Sam Didier, and Team Alliance lead by Chris Metzen. Their objective was simple: craft a chopper which best represents their faction. The team with the better designed chopper would see their product added to the game. Suge released another Machinima, this time featuring Blackrock Foundry. The machinima showed off all of the bosses, the zone, and some exciting combat. The trailer also included the final fight of the raid, and the defeat of Blackhand. In 2017, the Secret Finding Discord discovered and solved yet another puzzle added in Legion with Patch 7.2. This time the prize was the Riddler’s Mind-Worm, a recolor of the mount that could be obtained by defeating Mistress Sassz’ine in Tomb of Sargeras. The riddle included finding eight different pages scattered throughout the world, and a final chest which contained the mount. EVE Online released a trailer to commemorate its 15th anniversary!